NOTE: I lived in Nairobi for 10 years and I know that the city changes and develops rapidly. If you see any corrections or have recent Nairobi travel updates to contribute, I urge you to please leave a comment (bottom of this article)! Nairobi was once a swampy area in the Kenyan highlands, a retreat where the air was fresh and the climate was comfortable. The Masaai tribe named the area “Enkare Neerobi,” – meaning, a place of cool waters. 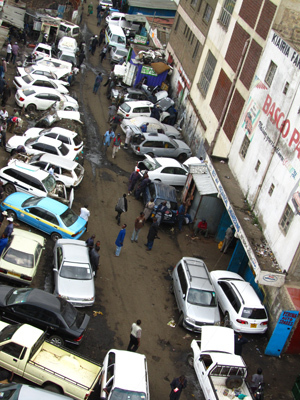 As the city developed it grew, people flocked to Nairobi from all over Kenya. The city expanded, and as sky-rise financial banking buildings were erected in central Nairobi, slum villages were setup on the outskirts of town. Transportation became hectic to say the least; Public vans (matatus) adapted to city life by driving in the most aggressive manner. Though it’s not exactly that quiet retreat that it once was, Nairobi remains known as the “Green City in the Sun,” a city where the air is still fresh (unless you are walking on the side of the road), the matatus are still chaotic, and the climate is nearly perfect! 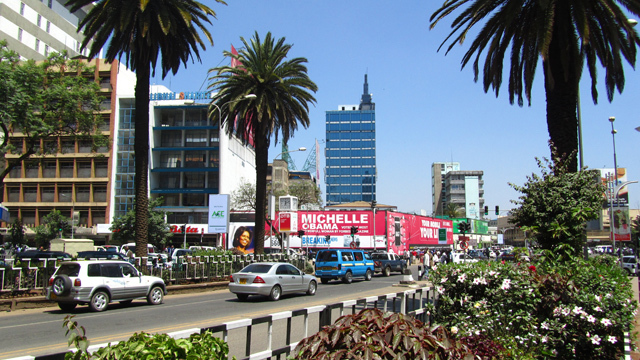 As Kenya’s capital and largest city, Nairobi is the giant melting pot of Kenya – a gathering place for Kenyans, people from all over Africa, and a sizable population of expats. Though the city is sometimes avoided by world travelers seeking get out of Nairobi an see the Big 5 or recline on the Indian Ocean coast, spending a few days in Nairobi can be just as rewarding! I hope this Kenya travel guide information will help! You’ll most likely need a visa when you travel to Nairobi, Kenya. Most nationalities can apply for a visa on arrival in Kenya. You can check this website to see which nationalities require visas. You can also print out the visa form and be prepared to get a speedy visa on arrival! You will need to fill out a visa application form, a landing card, possibly submit photos – and paying with USD is best. Jomo Kenyatta International Airport (NBO) is East Africa’s largest and busiest airport. 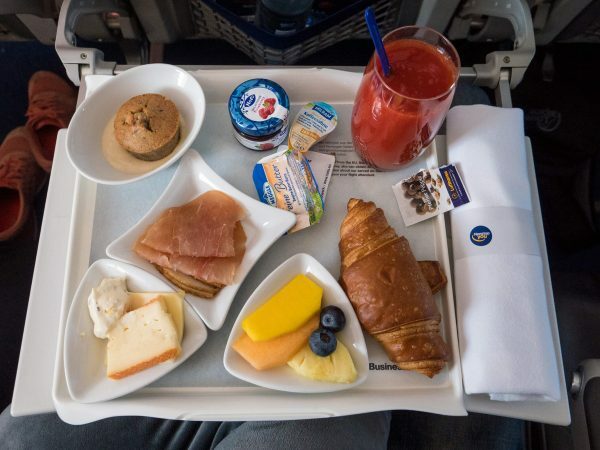 Although at times it may seem a bit congested with crowds of travelers and stuffy from a lack of airflow, it is normally the functioning base of quite a few international airlines as well as domestic carriers. Most likely if you fly into Kenya (or even some other places in Central Africa), your flight will land in Nairobi. From there, you can choose to either remain in the Kenyan capital city or continue on to another Kenyan or African destination. The airport is located on the outskirts of Nairobi, about a 30 minute drive away – more depending on traffic conditions. If you have pre-booked accommodation in Nairobi, the hotel or guest house may offer airport pick-up. Other than that, there aren’t too many options. A taxi ride from the airport to central Nairobi should cost around 1000 – 2000 KES depending on where you are going. Take a taxi from the airport that is operated by a reputable company such as Jatco Radio Call (E-mail: [email protected] | Tel: 020 4446096), Kenatco Taxis (even book online! ), or Jimcab (excellent service and book online). It’s a good idea to e-mail your guest house or place of accommodation to inquire about the correct fare from the airport. They will be able to offer you a ballpark or exact price range. You may need to do some negotiating before you get into the taxi cab to get a better rate. Kenya uses the Kenya Shilling (KES): 1 USD = about 86 KES. Before you travel to Kenya, be sure to check out the exact exchange rate. There are plenty of banks and ATM’s located throughout Nairobi. ATM’s are in my opinion the easiest way to get Kenyan currency with a decent rate. Normal banking hours in Nairobi are from 9 am – 2 pm, Monday through Friday. Some banks may remain open for longer periods in the afternoon and a few are open on Saturday morning, but don’t rely on it if possible. There are money exchange services throughout Nairobi and in the Jomo Kenyatta International Airport. I often visit a forex bureau located in most shopping malls within Nairobi if I need to exchange currency. In this Nairobi travel guide, I won’t get into all the accommodation options within the city, but mostly cover a few budget choices. NOTE: There are some places in Nairobi where you can get very cheap places to stay, but they probably aren’t very clean and may not even be safe. Be sure to choose a decent place wisely – you might end up paying a little extra, but it’s worth the safety. One of the cheapest place to get a decent dorm bed in Nairobi is at the Kenya Youth Hostel. Dorm beds can be found for anywhere from $6 – $10 per night, which includes a bed in a shared room with a communal bathroom facility. Wildebeest Camp provides dorm rooms for around $10 per night and they also have the option of setting up your own tent for just $5 – $10 per night. Bush House is another good place to stay in Nairobi that offers dorm beds for $12 and private rooms for $25 – $40 per night. You can also set up your own tent. 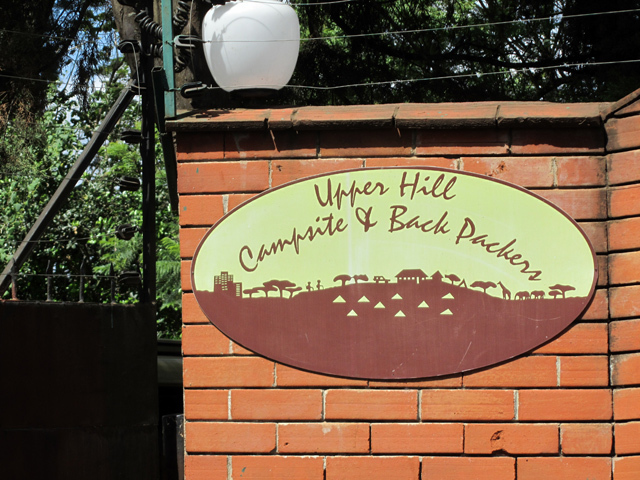 Located in a great location, also check out the Upper Hill Campsite for private rooms, dorm beds and camping options with similar pricing. Private hostel rooms in Nairobi are in the range of $20 – $30 per night, which normally includes a private double room with a private bathroom. Nairobi supports a large range of guest houses and bed and breakfast style accommodation – often used in the more upscale meaning of the word. Guest houses in Asia are usually the cheapest places to get a room, but in Nairobi, guest houses are usually set up in nice homes offering comfortable and quiet rooms for a price. Guest houses usually charge $30 – $60 per night for a double room. Note: It can be beneficial to ask a random 3rd party person what a correct fare should cost from Point A to Point B (if you take a random taxi) so that you have a price range to keep in mind. The notoriously rowdy mini buses that chaotically control the streets of Nairobi are known as matatus. Though they are crazy, when you travel to Nairobi taking them is a must. 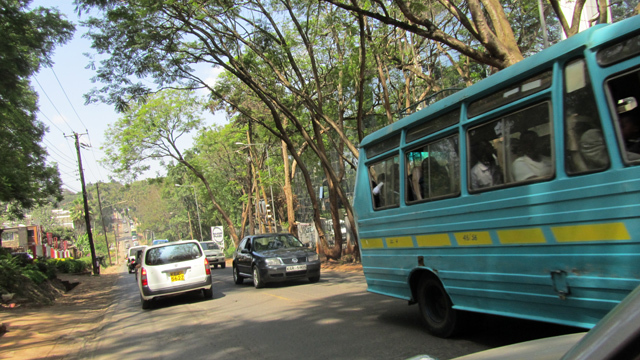 Matatu routes are all over Nairobi and cost a minimum of about 30 KES per ride. Sometimes touts will charge more for specific routes, or depending on the time of travel. Click here to see a decent map of Nairobi bus routes. In an effort for Nairobi city to get more organized with their transportation system, Kenya Bus Service offers bus routes throughout the city. Click Here to take a look at their website and see a list of Nairobi city bus routes. In this Nairobi travel guide I just listed a few of the many attractions in Nairobi to get you started. Please check out my other list of 101 Things to Do in Nairobi for many more ideas! Nairobi has its very own national park! Just moments from the city center, you can take a safari drive through the grasslands and observe cheetah, lions, hippos and giraffes in their natural habitat. Nairobi National Park makes a great day activity. Unfortunately, there are no elephants in this park. The Sheldrick Elephant Orphanage is an orphanage that houses baby elephants and rhinos. They are truly incredible to see running around, being fed and playing with each other. Safety is improving in parts of downtown Nairobi, and that’s great, because there are lots of things to see and places to walk around. Take a stroll though central Nairobi and check out the old paliament buildings, the McMillan Memorial Library, and quite a few colonial buildings. It may be easiest to begin your walk from Nairobi Hilton hotel. If you are interested in group tours, check out these tours of Nairobi. Like many capital cities in the world, Nairobi is full of interesting museum. Kenya National Archives houses memorabilia from colonial Kenya and the Nairobi National Museum has exhibits displaying culture from around the country. When I travel, there’s not much I like better than going to local style produce markets. One of the biggest food markets in Nairobi is City Park Hawkers, located in the Parklands area of town. 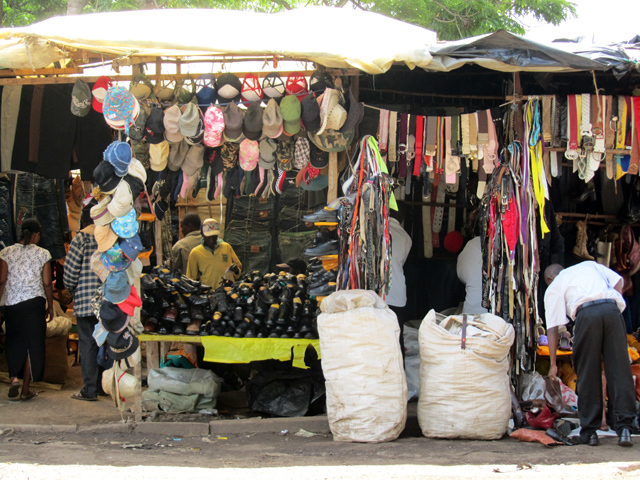 If you are looking for Kenyan made souvenirs, you’ll need to go to the Maasai Market. The giant market is filled with vendors selling all kinds of curio handicraft things. Nairobi nightlife is rather famous throughout Africa. There are lots and lots of bars and quite a few night clubs. Just be cautious going out at night and you should have a great time! Check out the complete list of 101 Things to do in Nairobi! 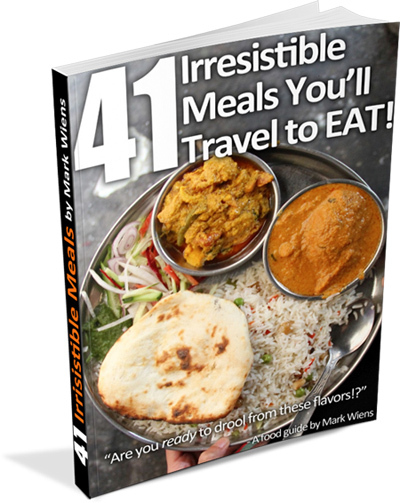 When you travel anywhere in the world, food can be one of the most important aspects. The food in Nairobi offers a pleasant mix of everything from delicious local Kenyan dishes to international famed restaurants. Kenyan style roasted meat (known as nyama choma), Indian food, and Ethiopian cuisine are among my favorite things to eat in Nairobi. In this Nairobi travel guide, I’ll go over a few of my top dining recommendations. 1. Ugali: Ugali is usually made from ground cornmeal (but the staple can also be made with sorghum or cassava) that is cooked into a thick paste and is recognized as Kenya’s national starch. Many Kenyan’s eat ugali everyday. 2. Sukuma Wiki: Sukuma wiki (which in English is known as collard greens or kale) is the most popular green vegetable eaten throughout Nairobi and Kenya. The vegetable is usually sliced thinly and mixed with tomatoes, onions, and a sprinkle of mchuzi mix (secret salt flavoring). 3. Beans: Forms of beans are cooked with small bit of tomatoes and onions to create a pleasant bean dish with sauce that goes great with ugali, chapatis, or rice. I ate a great Nairobi street food meal near Adam’s Arcade. 4. Chapatis: Originating from Indian influence, the chapati has become a Kenyan staple. 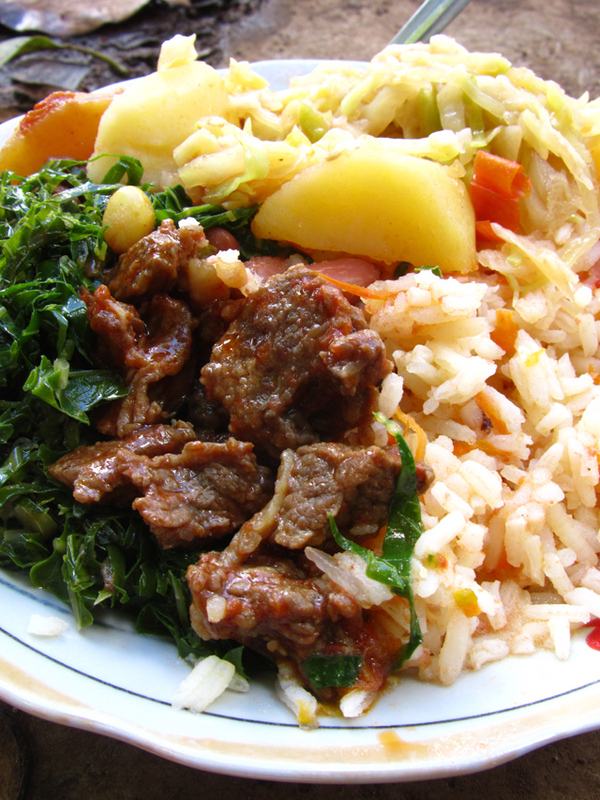 Kenyan chapatis are often eaten with a plate of beans and cabbage or sukuma wiki as well. 5. Nyama Choma (Roasted Meat): There’s nothing as good as Kenyan roasted meat at a local joint! One of the most popular ways to enjoy goat or beef is roasted and sliced on a cutting board right on your table! Look here for the best nyama choma in Nairobi. It’s my favorite thing to eat! 6. Chai: Despite the Kenyan coffee reputation, it’s tea that is the most popular hot beverage in Nairobi. Black tea is made strong, toned down with milk, and sweetened up with 3 spoons of sugar! 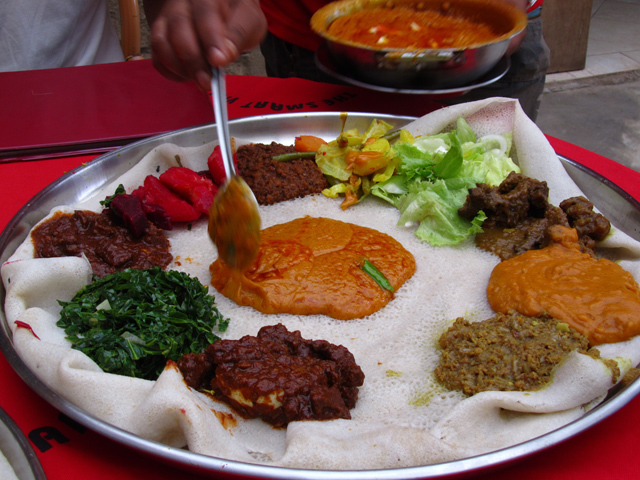 The Smart Village Eritrean restaurant in Nairobi is a place you don’t want to miss! The powerful scent of brewing berbere sauce, sizzling meat, and Ethiopian butter is tantalizing. Start your meal off with the mixed Eritrean platter and maybe order a few extra dishes like Tibbs or Shiro Wat. Click Here for more information and directions. The Smart Village is one of my favorite Nairobi restaurants. Don’t forget to sample the Ethiopian coffee or the homemade honey wine! There’s no better place in Nairobi for cheap Indian food than Diamond Plaza. The entire shopping center is full of dining options and a giant outdoor Indian food court. From tandoori chicken and naan, to tasty samosas, Diamond Plaza is a one stop Nairobi Indian food dining spot! If it’s a more sit-down Indian restaurant that you are after, Anghiti Restaurant will deliver you some serious culinary quality. The Indian curries and clay pot dishes are what Anghiti is most famous for. 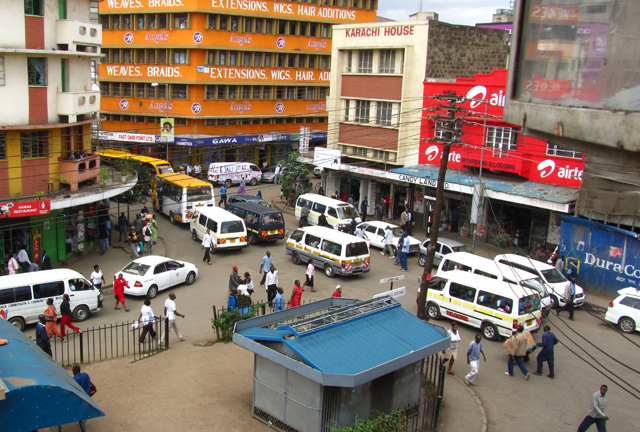 There are a number of location throughout Nairobi, including Muthaiga and Westlands. Close your eyes, sample the food, and you just might think you have been miraculously transported from the rowdy streets of Nairobi to the cobblestones alleys of Florence. Mediterraneo serves what might be the best Italian food in Nairobi, along with a truly Italian ambiance. Click here to see the official website. There is a certain burger that I dream about, and travel to Nairobi just to eat. It’s down a dark little alley in the Westlands Area of Nairobi, a restaurant known as Burger Hut. Though they switch their menu quite frequently, no trip to Nairobi would be the same without the Double Hut – possibly Kenya’s best hamburger. If you have a few minutes and want to get a better feel for Nairobi, please watch this video I made! 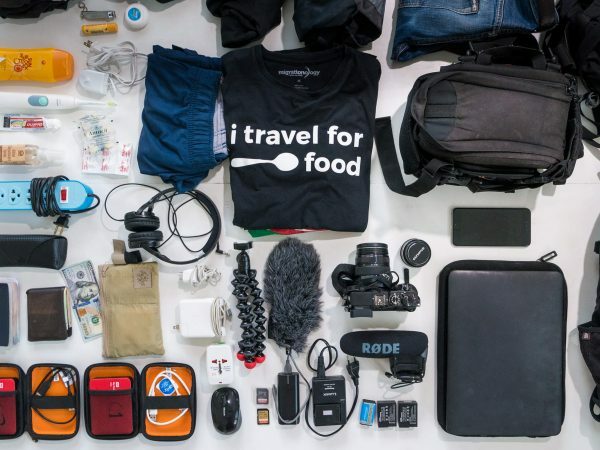 How much money will you need when you travel to Nairobi? The cost of traveling in Kenya can be as little as $15 per day, however to be comfortable you probably need around $30 as a budget traveler. Of course, things can be much higher depending on how you are living and what you are seeing. At the least, you’ll be paying around $10 per night for accommodation (see accommodation section in this guide). You can get a little less if you check out the Nairobi camping options. Private guest house rooms run in the $40 range and hotels might cost in the $50 – $80 range. Street style local Nairobi food is cheap, about $1 for a meal, but international restaurants can be more expensive. You might pay about $5 – $10 for a good meal out at a sit down restaurant. 500 ml bottles of beer are $1 – $2 at local pubs, but if you go to more upscale night places, the prices will double. As for attractions, if you are a tourist, many things are not that cheap in Nairobi. For instance, the entrance fee for Nairobi National Park is $40 per day – not cheap! Museums and monuments cost in the $5 – $10 range for non-residents. You can check out my more in depth guide breakdown of Kenya travel costs here. I’m going to write this article less about the criminal statistics, and more about my personal experience of living in Nairobi. Just like any other city in the world, some areas of Nairobi are safe while other areas are not safe at all. Depending on where you are, what you do, and how you act, is what can make the safety difference. 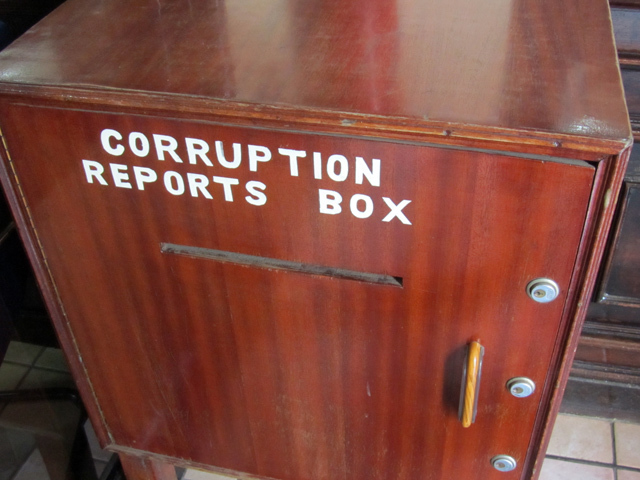 Nairobi does have its share of theft, but using some common sense is a way to avoid some of it. I’ve had a couple mobile phones and a wallet stolen. When I first moved to Nairobi my Mother had a gold necklace ripped off her neck and my Father had a watched ripped off his wrist. Lesson: Be careful what you wear, don’t wear anything flashy, and be careful with electronics ie: cameras. That being said, I don’t feel in danger when I’m in Nairobi (in most areas of town, apart from places like Dandora). I would definitely recommend traveling to Nairobi, but when going to places like downtown or slum areas, it’s always a good idea to find a group to walk around with or some traveling companions. For solo women, be careful, be alert, and be especially cautious going out at night. If possible venture out with a group of people. If you go to any parties where there are a lot of people, be careful of pickpockets and purse snatches. Be careful carrying a purse as they are quite easy to rip off. If you do use a purse, make sure it has a secure zipper and that it can be carried close to your body, maybe with your arm tightly wrapped around it. I normally carry an “in the pants” wallet pouch that has a belt loop and then lays vertically down my pants. This way, I don’t obviously have money and I don’t have a traditional wallet that can be stolen with ease. So that I don’t have to keep reaching into my pants, I keep a small amount of cash in my front pocket in order to purchase small necessary things like water and snacks. My advice for carrying money is to make it as hard as possible for someone to take it without you knowing. Many people go out to enjoy the nightlife of Nairobi. I normally leave my wallet in a secure location and bring a certain amount of counted cash for the night with me in my pocket (or use my in-pants money wallet). I also throw in an extra 1000 KES in my sock or somewhere hidden just in case there is an emergency. Nairobi has its share of beggars, many legit and very much in need. It’s a toss up and dilemma what to give or even if to give anything to beggars. I’ve seen countless occasions of street boys receiving money and then fighting over it, doing more bad than overall good. Other occasions, it can be good to give food or clothes. My adice is to give food or clothes instead of money but be careful and use discretion on when and how to give. Also, before you travel to Nairobi, it might be helpful to read about the current situation, you can start searching for information on places like the World Travel Watch or the US Security and Safety website. Remember, that while Nairobi does have some crime, so does every other city in the world. 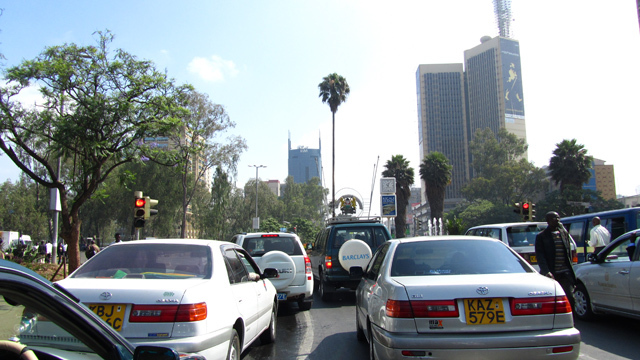 It should not discourage you from visiting the amazing city of Nairobi! You’ve made it to the bottom of this massive 3,000 word Nairobi travel guide. I really hope this information can assist you with some tips and advice on visiting Nairobi – one of my favorite cities in the world! If you have any updated / new information, please post a comment (below). Thanks! Great travel guide when travelling to Nairobi. Just one update…starting Feb 18, 2016 The Government of Kenya has waived visa fees for all children aged 16 years and below who are accompanying their parents to Kenya. Your comment: I like it Mark. keep it up and visit more cities in Africa. love it. Thank you Khweza, haha, those beer prices always going up! Amazingly detailed write up! We are just trying to judge how much time we should allow ourselves to see the city before starting an overland trip heading south. Thank you Adam! I guess it just depends on how much you want to see, if you want to go to the National Park, and how much you want to relax. Maybe anywhere from 4 days – 8 days or so? To each his own, but I prefer Habesha to Smart Village. I’ve heard of people flying into Nairobi with a 3 hour layover who leave the airport to go to Habesha. Thanks Andrew, Habesha is excellent! I live in Europe and my mom lives in Asia- I like to have a few drinks occasionally but my mother does not drink anything but fruit juices-where would be a good place to suit both of us and be comfortable and enjoy some good local music which is pleasant? I read about Havana, Gipsy in the forums but since Im travelling with my mom, it must be suited to both of us! Hey Ash, thanks for sharing! Since I don’t live in Nairobi anymore, I don’t know all the latest updated information about going out, but here are some places I would recommend: Tamambo Bar and Grill, Simba Saloon or Carnivore, Kengeles (a local style restaurant with live music and beer and juice). Hope this helps and hope you have a great visit to Nairobi! I am travelling to Nairobi in a few days. I will be there for a week. what would my daily living expanse be. I have accommodation. so how much approx would i need for food and drinks. Im coming from South Africa. Ive never travelled to Kenya so i am completely lost. Hi Eugene, if you have your accommodation already sorted out, you’ll probably spend about $15 – 30 per day, this of course all depends on many variables – where you eat, what attractions you visit, drinking and so on. Hope this helps and hope you have an excellent time in Nairobi! On the local kenyan food I think you really should have mentioned Mukimo(a side dish of mashed potatoes, beans, peas and maize) that most westerns would prefer to the rather solid ugali. Mutura, the local meaty kenyan sausage is another delicacy served in local Nairobi choma places that is well worth sampling. I get my favorite up at Buffet Park in Argwing Kodhek, Hurlingham. Thanks so much for your added input Gunnar – I really appreciate it! Glad to hear you also love Mutura. I used to get it from a small place in South C, but it’s nearly impossible to explain how to get there – but it’s so tasty! I’m off to Nairobi tomorrow. It will be my first time in Africa and I am so excited. Thank you for the great tips! No problem, have a great time Annika! Thanks Mark. It was an absolutely incredible experience. I will be forever grateful for the opportunity to take this trip. Awesome to hear that Annika! Your candor and honesty (without being offensive or distasteful as is the case with many who write about Africa) is highly appreciated. This can only come from someone who is not afraid to immerse himself in the local culture. Thank you! No problem Nick – I appreciate you taking the time to look at it and leave me a comment. Hope it’s useful to people visiting Nairobi! Wow! what a wonderful place to visit. Thanks for the very useful tips that you have shared with us about Nairobi. I wish i could visit this amazing place someday. Thanks for the post! No problem Ynna, glad you enjoyed this post! I’ll be moving to Nairobi as an aupair next month and will certainly keep all this information in mind. Thank you for posting. You’re welcome Kelly. Hope you have a wonderful time in Nairobi! Very good write up. I’ve never taken a trip to this part of Africa so it’s something that I’d love to do one day. The main attraction for me would definitely be the National park and the elephant sanctuary! Kenyans seem to drink tea the same as we do in the UK, lashings of sugar and milk! 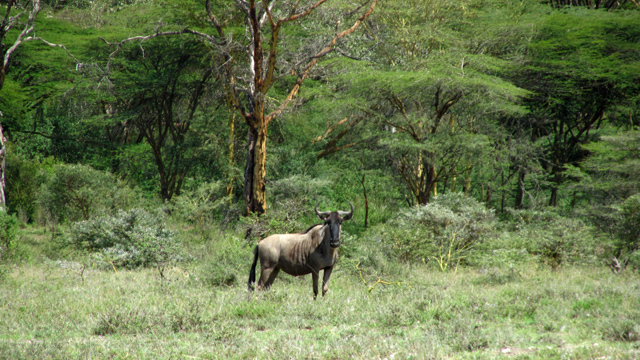 Cool to hear that Gemma – I hope you can visit Nairobi soon and see the wildlife. Tea, sugar and milk is a winning combination! That was packed with knowledge. But, back to the Chai. No spices? The “chai” in the US adds cinnamon and a few others. Yah, unless you get spiced chai or ginger chai, normal Kenyan tea comes with just tea, milk and sugar. On the coast you can get more of the masala chai which is excellent! mark: thanks for the very useful tips. It of great help. No problem, hope it can be helpful for travelers visiting Nairobi!